Along way up the East river, er­roneously so called, since it is not a river at all, beyond the sunken meadow where the burning Seawanhaka was beached with her cargo of perishing hu­man freight, three islands block the chan­nel that winds past the forts to the Sound. Two are barren wastes of bayweed and sand. The third juts into the channel with grass-grown bluff. Great boulders, washed by every tide, lie at its base. Upon its brow stands a lighthouse with a big fog bell in its white tower against a back­ground of green trees. The fishing boats that dot the channel keep to the windward of the island. Passengers on the decks of the big outgoing Sound steamers watch the sunset glow in the myriad windows of a group of red brick buildings on its shore, wondering what they may be, while the city's spires fade away in the distance. Presently three shrill blasts are sounded from a steamer's whistle, and at the signal, as the boat shoots behind the point, a knot of men carrying a stretcher between them are seen making their way down to the landing. The men are orderlies from the small­pox hospital. The three blasts were sounded by the Health department's steamer coming up from the city, to tell them what it had on board. It is the official language of North Brother Island, varied to suit the particular pestilence of the trip. Two long blasts would have spelled scarlet fever; four, measles. The signal most dreaded - the long and short limp that stands for typhus fever - has been the one most frequently heard this year, and since the near shore first gave back its echoes a little graveyard that was not there before, has grown in a quiet corner of the island. 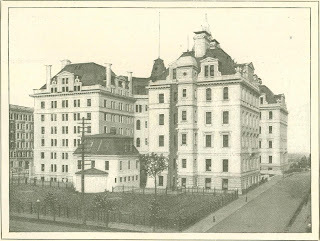 For this is New York's pesthouse, better known, happily, to our day and our city by a better name: the Riverside hospital. The article which follows is the first popular account of their experiments prepared by the inventors. Their accounts heretofore have been brief statements of bare ac­complishments, without explanation of the manner in which results were attained. The article will be found of special interest, in view of the fact that they have con­tracted to deliver to the United States Government a complete machine, the trials of which are expected to take place about the time of the appearance of this number of THE CENTURY. - THE EDITOR. Though the subject of aerial navi­gation is generally considered new, it has occupied the minds of men more or less from the earliest ages. Our per­sonal interest in it dates from our child­hood days. Late in the autumn of 1878, our father came into the house one evening with some object partly concealed in his hands, and before we could see what it was, he tossed it into the air. Instead of falling to the floor, as we expected, it flew across the room till it struck the ceil­ing, where it fluttered awhile, and finally sank to the floor. It was a little toy, known to scientists as a "helicoptere," but which we, with sublime disregard for science, at once dubbed a "bat." It was a light frame of cork and bamboo, cov­ered with paper, which formed two screws, driven in opposite directions by rubber bands under torsion. A toy so delicate lasted only a short time in the hands of small boys, but its memory was abiding. Several years later we began building these helicopteres for ourselves, making each one larger than that preceding. But, to our astonishment, we found that the larger the "bat," the less it flew. We did not know that a machine having only twice the linear dimensions of another would require eight times the power. We finally became discouraged, and returned to kite-flying, a sport to which we had devoted so much attention that we were regarded as experts. But as we became older, we had to give up this fascinating sport as unbecoming to boys of our ages. After an absence of several years in America, on a morning in early June we were on our way back to the Tatra Mountains by train from Vienna. With beating hearts we crossed the boundary of Poland. In the radiant glory of the ris­ing sun the green plains spread wide in blue mists. On every side were emerald meadows coursed by slow streams, like silvery ribbons, over which hung rows of melancholy willows; there were fields of wheat red with poppies, sky-blue patches of flax, clusters of straw-thatched peasant houses and lime-trees, roads shaded with poplars, and here and there shallow ponds. Everywhere working in the fields were peasants clad in brilliant red and white garments. The pastures were alive with grazing herds of cattle and horses. Swallows were darting through the air, and storks waded in the swamps. It was a true Sarmatian landscape. From Cracow a new line of railway brought us to Zakopane, a village in the foot-hills of the Tatra Mountains. De­siring to see the life of those interesting mountaineers at close range, I mounted one of the heavy, springless vehicles that wait at the station, and let the flaxen-haired boy drive me to the village of Koscielisko, deep in the mountains, where the country remains still largely un­changed by the influences of modern civ­ilization. On the road we met groups of sheepskin-clad mountaineers driving their herds of small cattle into the upper val­leys for summer grazing. A day and a night up near the North Pole compass a year. At the Pole itself there is but one sunrise and one sunset in a twelve ­month. About March 20th sunlight reaches the spot which marks the northern termination of the axis of our earth, and it does not go away till about September 20th. When it goes, it goes for good; the six-months day is followed by the six-months night. 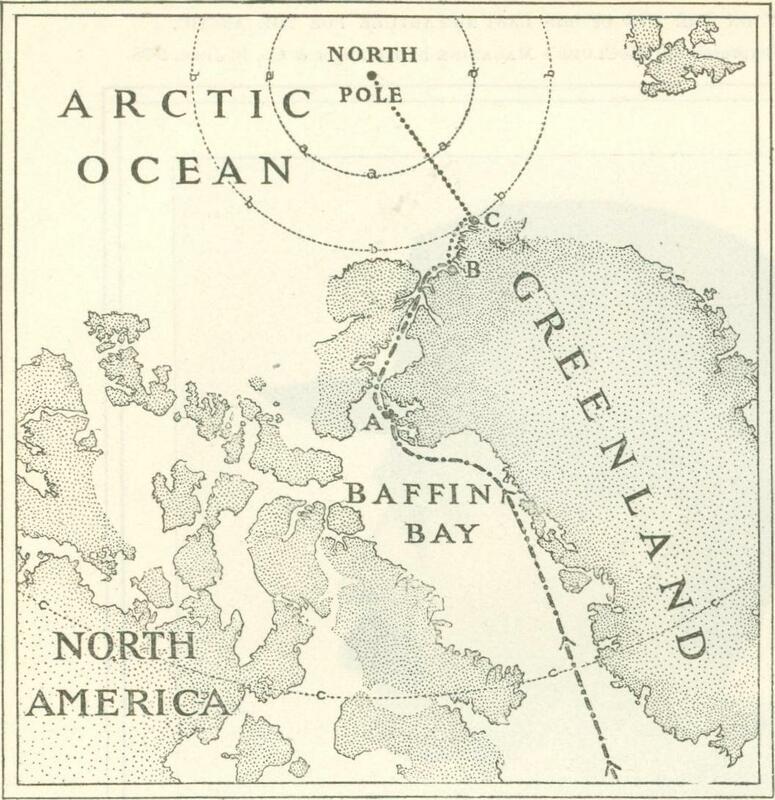 It was at Cape Tegetthoff, Franz Josef Land, that the Wellman Polar Expedition spent an Arctic day and night. That was 600 geographical miles south of the Pole, and there the sun rose above and disappeared below the horizon each twenty-four hours during about seven weeks in the spring and a like period in the fall. But prac­tically we had only one day and one night. Every part of the earth's surface receives theoretically the same amount of sunlight as every other part. Nature makes no dis­criminations in this respect. The North Pole has just as many hours of sunlight in a year as the equator, and at Cape Tegetthoff we had the satisfaction of knowing that not even sunny Italy was basking in the great orb's favor to a greater ex­tent than we. The difference is that in the Arctic regions we get our sunlight - and also our darkness - in a lump. At the Pole the lumps are six months long. At the eigh­tieth parallel of latitude, where we were, we had the midnight sun in the heavens for 127 nights, that being the long day; and later we had no sun at all, not even at noon, for 127 days, and that was the long winter night of our discontent. An extraordinary disaster was that which overtook my sledging party in Franz Josef Land last March. 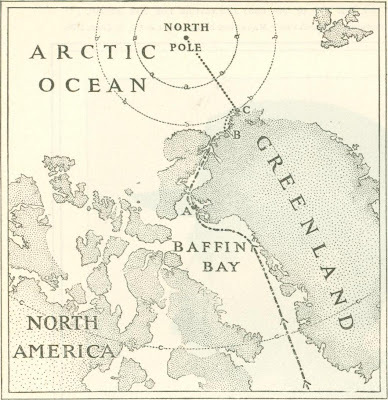 We had covered about 140 of the 700 statute miles which lay between our winter quarters and the very top of our earth. Then, on March 20th, I fell into a crack in the ice and hurt my right leg. 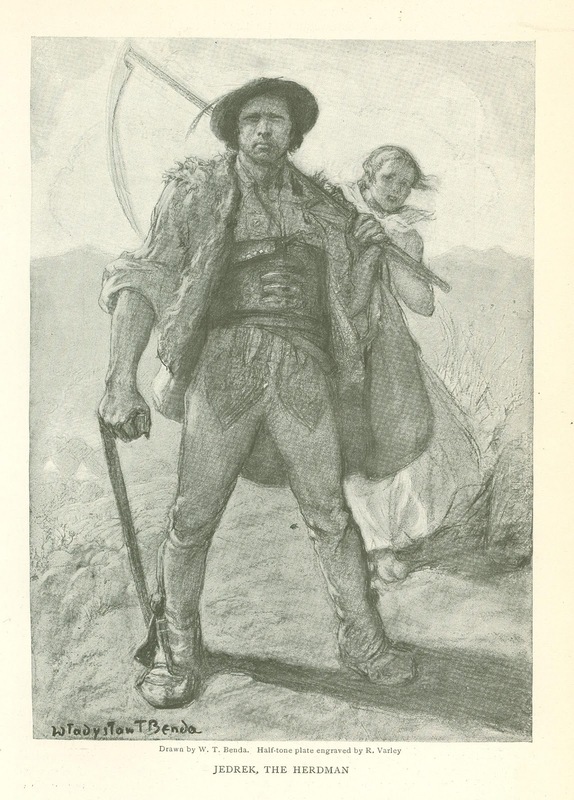 It appeared to be a trivial injury, and so I kept going; but as a matter of fact, it was fatal to the hope of reaching the Pole or even of beating the record; and as the leg grew worse and worse, there was the greatest danger that we should go on till at least one of us could never return. But fate interposed with what at the moment seemed a most cruel hand to save us from worse things beyond. March 22d was a day of storm from the northeast, and we could not make the dogs face the blast. 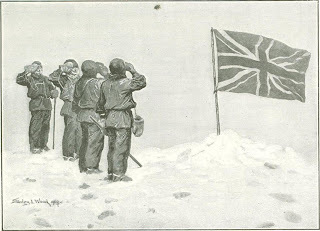 By evening the wind had died away, but as the nights were still pretty dark, we crept into our sleeping-bags at six o'clock, with orders for breakfast at three in the morning and an early start. At mid­night we were roused by the ominous sound of ice crashing against ice, accompanied by a slight jarring of the frozen crust which lay between us and the sea. In an instant all five of us were outside the tent. We could see nothing. The storm had blown up again, and the air was filled with drifting snow. Two men were detailed to make a reconnais­sance, the others creeping back into the tent out of the blast. But in two or three sec­onds there came another movement of the ice; another low, sullen, rumbling sound. 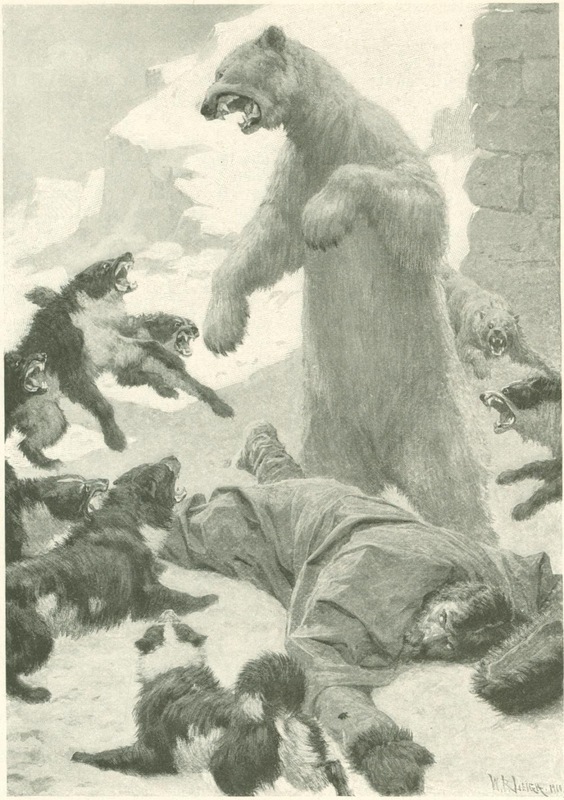 The Wellman Polar Expedition of 1898-9 was characterized by one of the most remarkable tragedies and one of the finest deeds of human courage ever recorded. The hero who did this rare deed lives in the little town of Tromso, Norway; and it was at this far northern port that the mem­bers of the expedition, four Americans and five Norwegians, assembled in June, 1898. On the 26th day of that month we sailed in the expedition steamer "Frithjof," a stanch ship specially built for hard work in heavy ice. At Archangel, Russia, we took on board eighty-three draught dogs which Alexander Trontheim, of Tobolsk, had procured for us in sub-Arctic Siberia, among the Ostiaks, who live near the mouth of the River Ob. A two-thousand-mile journey across mountains, tundras, steppes, and rivers had the faithful Trontheim brought his pack, assisted by others and a caravan of reindeer. From Archangel we steamed northward through the White Sea to the Arctic Ocean, and in a week met the pack-ice at the sev­enty-seventh parallel of latitude. Out first onslaught upon the frigid bulwarks with which the well-nigh impregnable Pole is sur­rounded was not encouraging. We found no opening, but did soon discover that our bunkers were running low of coal, and so we steamed back to Norway for reinforce­ments. Then north again, and soon we were once more struggling with the pack-ice. A week of ramming, shoving, crowding, shiver­ing through leads and openings, forcing them often where they did not exist, varied by fre­quent fogs in which it was necessary to lie to because we could not see a ship's length ahead, brought us at last near the shores of Franz Josef Land. Happy indeed were we all when, on July 27th, we first beheld the glacier-capped mountains of this remote region. To our imaginations it presented itself as a para­dise of opportunity. Next day, with anxious hearts, we anchored at Cape Flora, which for three years had been the headquarters of the Jackson-Harmsworth (English) expedition. Here it was that Nansen and Jackson had had their dramatic meeting two years before - a chance encounter which doubtless saved the lives of Nansen and his faithful comrade, Lieutenant Johansen. Here, too, we had hoped for another meeting. 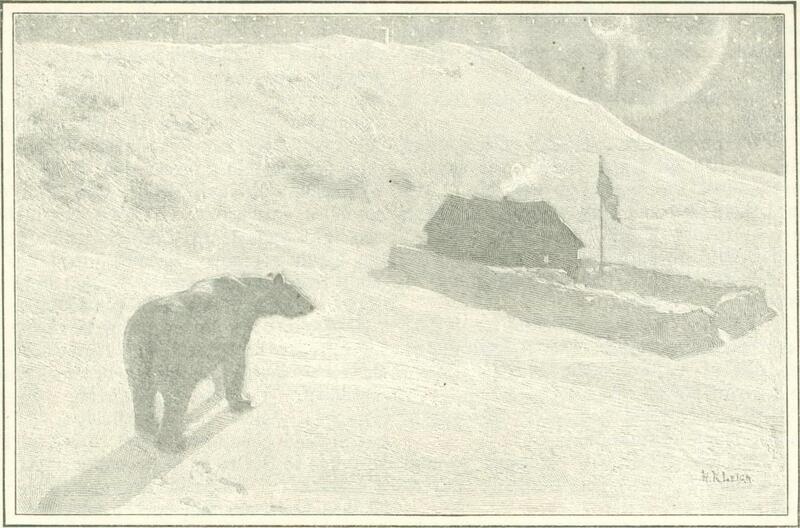 When last heard from, Andree's balloon was drifting in this direction from Spitzbergen, and as he knew of the existence at this point of a good house amply stocked with provisions, it was not im­possible he had been able to make his way hither the previous autumn. Grievous was our disappointment when we saw the doors and windows of Jackson's house all boarded and barred, for we realized that thus ended all reasonable expectation that the brave Swedes were to be seen again among the living. Editor’s Note. — Lieutenant Peary is now well up in the Arctic regions, prosecuting a new journey of exploration that he has good reason to hope will result in his reaching the North Pole. His vessel, the "Wind­ward," sailed from New York, July 2, 1898. 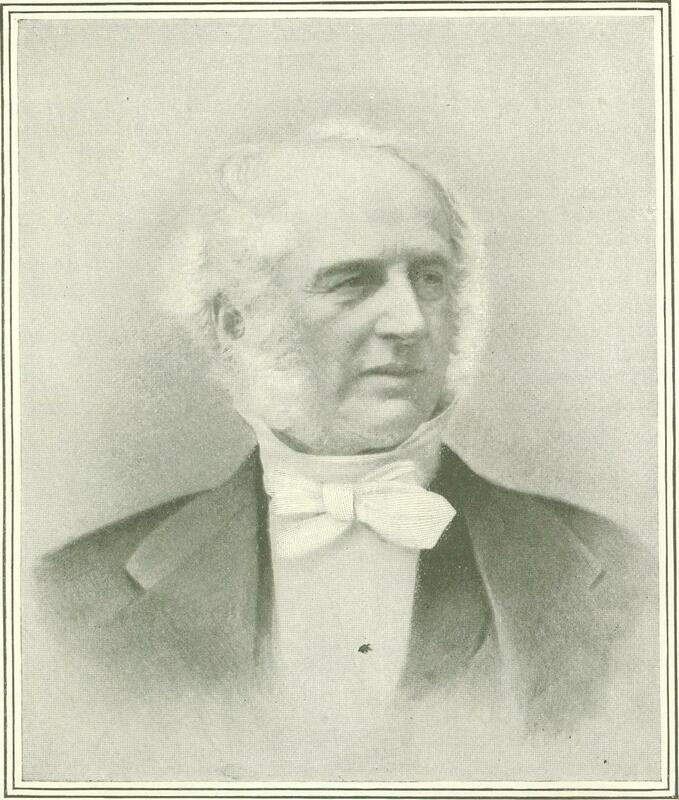 He himself set out a few days later, going by rail to Sydney, Cape Breton, where he was awaited by his old ship, the "Hope," which also went out with the expedition. The last word from him was received on August 27th, when the "Hope" returned to St. John's, Newfoundland, having parted from Lieutenant Peary at Littleton Island, in Smith Sound, on August 13, 1898. The following article, outlining his purposes and plans, was written in the main just before he started; but some passages in it were written after he was actually on his way. The main object of the, plans which the writer will endeavor to outline clearly in this article is, frankly and avowedly, the Pole. It is natural that a man should consider his own plan the best else, presumably, he would not adopt it. For myself, I can say that I have no feeling of rivalry or jealousy towards other explorers or other plans than my own, and gladly welcome and encourage every earnest, bona fide, original attempt to solve the great problem, feeling that the more the merrier and the more chances there are that the goal will be reached. Six days after the ascent of Aconcagua by my guide Zurbriggen, as related in McClure’s Magazine for October, I started, with Mr. Stuart Vines, to make another at­tempt on the mountain. 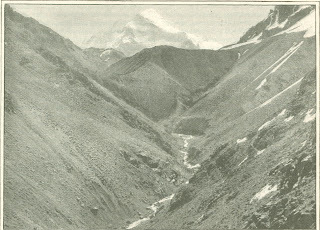 Zurbriggen was temporarily disabled by the hardships he had undergone on Aconcagua, and by an accident sustained in crossing one of the fords in the Horcones Valley, owing to his mule falling with him. I had, therefore, sent him down to Mendoza to recuperate. After two unsuccessful attempts, we reached the high-level camp on Aconcagua, at 18,700 feet, on the 22d of January , in very bad weather. At these altitudes the digestive organs are not in a state to allow of indulgence in a hearty supper, and we felt a craving for hot food at an early hour on the following morning. 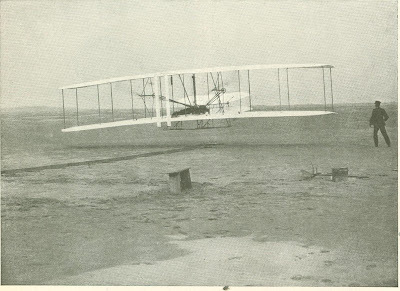 It was Vines's first experience at 19,000 feet. He spent a restless night, and on getting up did not seem fit for much. It was impossible to rise early, or when up to move about and do things quickly, so that it was not until nine o'clock that we began to prepare breakfast. 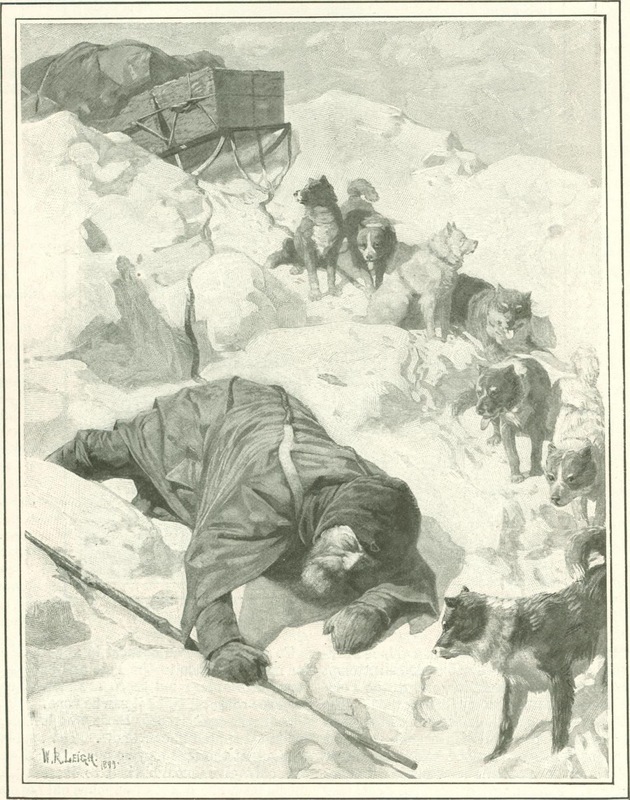 Coffee was our staple food, but there was no means of obtaining water except by melting snow and ice. Although still a young man, M. de Cou­bertin has acquired a broad point of view through wide travel and deep study. He is peculiarly qualified, therefore, to interpret the institutions of his own country for the benefit of Americans or Englishmen. No foreigner could have written certain chapters in his book with the insight that the author displays. On the other hand, no Frenchman not exceptionally familiar with the history, politics, and social life of America and England could, in the writing of a book like this, have rendered a direct service to English-speaking readers while primarily ad­dressing his own countrymen. 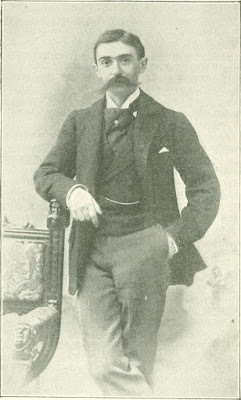 The internation­al and comparative cast of mind has come to be second nature with M. de Coubertin - a thing that can be said of very few Frenchmen. In that regard he is the De Tocqueville of our day. 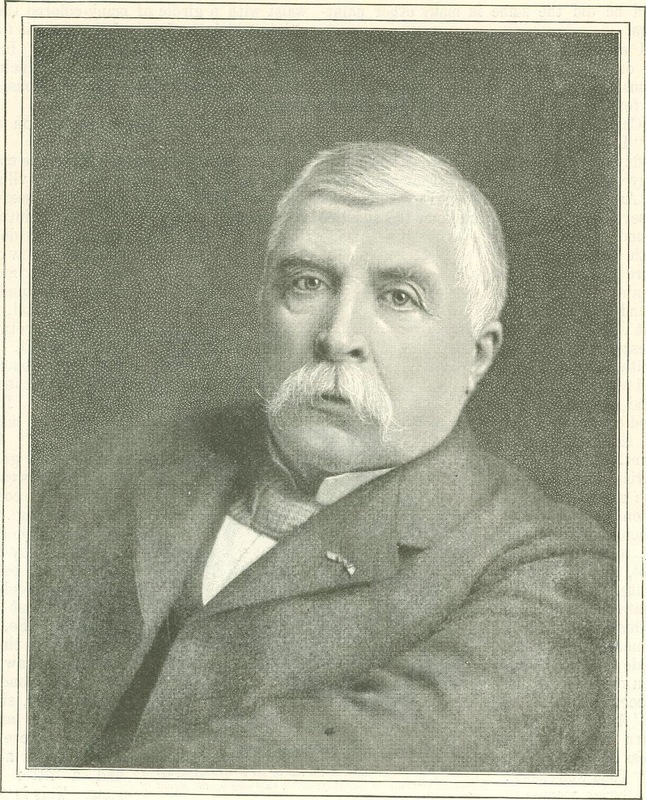 Quite as De Tocqueville, now more than sixty years ago, visited the United States and England in order to write books which should interpret American democracy and English life to the Frenchmen of the 30s who had just placed Louis Philippe on a throne surrounded by republican institutions," even so M. de Coubertin has for many years past been busily studying and interpreting to the young men of the Third Re­public certain phases of English and American life which he has believed might well be incorporated into the French scheme of existence. M. de Coubertin is a philosophical observer and a constructive reformer; and he is one of the really notable and remarkable young men of our day. We once knew a fat man of 41 3/4 stone. When he retired on an immodest competency from the show business he bought an uproarious hostelry in Old Street, St. Luke's, and had the partition between the bar and the private room cut away, for obvious com­mercial reasons. We used to sit with him o' nights listening to his weird stories of adventure. They all turned on his own excess of avoirdupois. Once he went to Coventry to see a cycle race, but as he was going up to bed at the inn he fell through the staircase and partially wrecked the house. Then he sued the landlord for damages. There you see the element of commerce. After all, the French must be right - we are a nation of shop­keepers. Cons­puez les Anglais, that is the cor­rect Gallic note. Frenchmen, now blessed or cursed with a superabundance of adipose tissue, naturally turn towards the notion of a club. 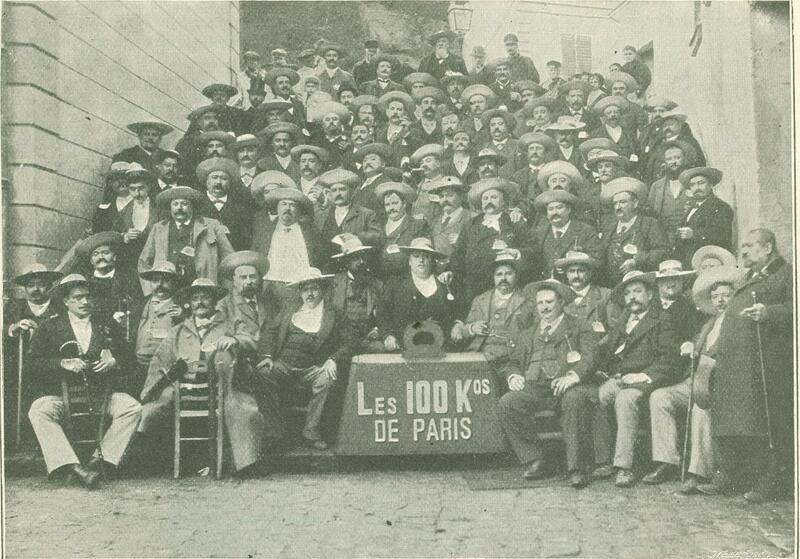 Beggars' clubs already exist on Montmartre; why not a special circle for fat men? Absit omen, however. "But," says the jesting Briton, "what is a fat man?" and quick comes the answer, "One of at least a hun­dred kilos" - no less. Members there may be, compared with whom the nimble "cent kilos" is but as water unto wine, but a man of less than the minimum is not to be tolerated. During a recent visit to Paris, we passed down the Boulevard Voltaire, seated on the top of a tram, and noticed a café, just opposite the St. Ambroise Church, with a huge red sign, bearing in white letters the inscription "Siege Social de la Societe des zoo Kilos de Paris" staring us in the face. Still, a very few solid grains of doubt remained, a little dis­jointed, until a day or two later, when paying a visit to an old bookseller friend on the Boulevards, who is a perfect encyclopedia in himself, we were fortunate enough to be introduced to a fellow-customer, a very stout gentleman, who turned out to be M. Vivian, the secretary of the "Fat Men's Club," and our incredulity, at least as far as this subject was concerned, was cured. For the origin of the Belgian Antarctic Expedition we are indebted to the energetic efforts of Lieutenant Adrien de Gerlache. By soliciting private subscriptions and finally by securing the aid of the Belgian Government, De Gerlache succeeded in collecting the sixty thou­sand dollars which were barely sufficient to fit out the enterprise. The vessel selected for the mission was the Norwegian sealer "Patria," which was re-christened "Belgica." She is a strong ves­sel, of about 250 tons, built some ten years ago. 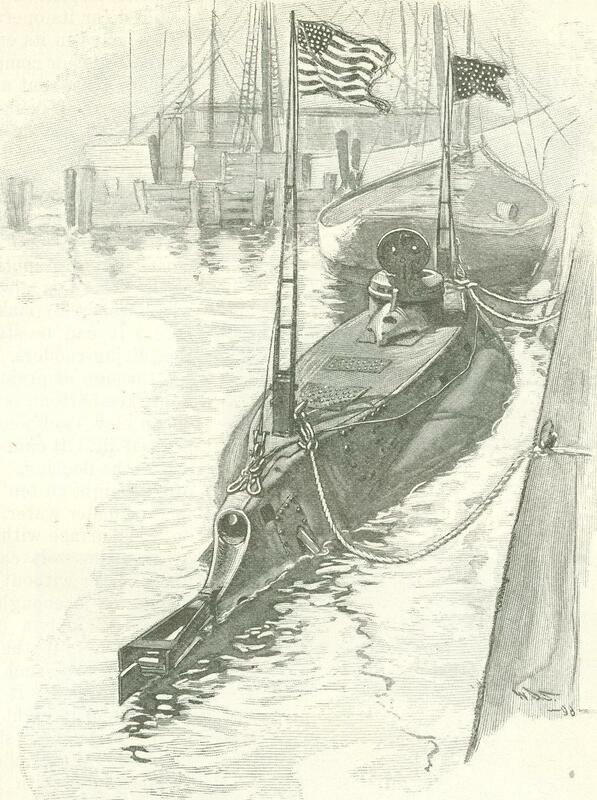 She was not strengthened or altered on the plan of Nansen's vessel, the "Fram" as has been so often stated. Nevertheless, she proved herself a craft of extraordinary endurance, withstanding the thumps of rocks, iceberg collisions, and pressure in the pack-ice in a manner perfectly marvelous. 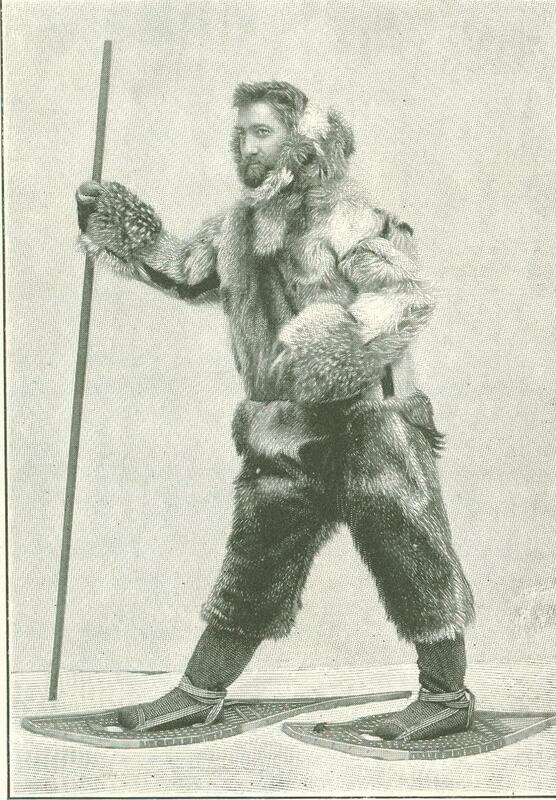 Owing to a scarcity of funds, the equipment of the ship and the outfit for polar exploration were somewhat imperfect. If we had been com­pelled to stay longer or if it had been necessary to make a forced overland journey or a retreat homeward on the ice, we should have found our equipment inadequate. The object of the expedition was never clearly defined. In a general way we sailed on a voyage for scientific research and explora­tion in Antarctic seas. The details of our itinerary and the particulars of our route were to be decided by the circumstances encountered. The members of the expedition were from many lands. Although they all spoke languages foreign to my own, as a body they proved most charming companions. The offi­cers of the ship were: Commandant, Adrien de Gerlache of Belgium; captain, George Lecointe of Belgium; mate, Roald Amundsen of Norway. The members of the scientific staff were: Department of zoology and bot­any, Emile Racovitza; department of oceanography, meteorology, and geology, Henryk Arctowski of Poland; department of terrestrial magnetism, Emile Danco of Belgium; department of medicine and anthropology, Frederick A. Cook of the United States. The sailors were bright fellows, with a fair education, taken from Norway and Belgium. Altogether we numbered nineteen when leav­ing Punta Arenas - seven officers, housed in the cozy little cabins, and twelve marines, housed in the forecastle. Thus divided, we were two happy families, and as such we tried to extract from the frozen south polar surroundings such rare comforts as regions of perennial snows afford. 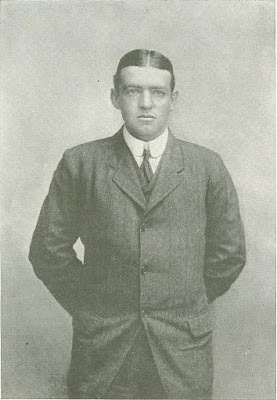 After my return from the National Antarctic Expedition I felt that much had yet to be discovered in that least-known portion of the surface of the globe, and I there­fore decided to make an attempt to organize another expedition, with the object of further­ing our general knowledge of Antarctic geog­raphy, and of trying to reach the South Pole. I hoped, by including in the expedition a good staff of scientific men, to combine with geographical research some important work in various branches of science. There was room for an enormous amount of careful investiga­tion in connection with the biological conditions of the South Polar regions, as well as in the domains of geology, meteorology, and kindred sciences. We knew that the coast of Victoria Land extended beyond latitude 83° south, and that there was land at the eastern end of the Great Ice Barrier, for on the National Ant­arctic Expedition we had seen the outlines of mountains and rocks loom dimly through the falling snow. It was on King Edward VII. Land (so named by Captain Scott) that before leaving Lyttelton I had hoped to make my winter quarters. As will be seen later on, I was forced to abandon this plan. The initial difficulty which confronted me was that of securing the necessary funds, and a rather serious matter this was. After much delay I obtained sufficient support to enable me to announce the forthcoming departure of a new Antarctic expedition. That was in February, 1907, and on August 7, 1907, the Nimrod, equipped as far as funds would allow, made a start from Torquay. The entrance to Euston Station is of itself sufficiently imposing. It is a high por­tico of brown stone, old and grim in form a casual imitation, no doubt, of the front of the temple of Nike Apteros, with a recollec­tion of the Egyptians proclaimed at the flanks. The frieze, where of old would prance an ex­uberant processional of gods, is, in this case, bare of decoration, but upon the epistyle is written in simple, stern letters the word, "EUSTON.” The legend reared high by the gloomy Pelagic columns stares down a wide avenue. In short, this entrance to a railway station does not in any way resemble the entrance to a railway station. It is more the front of some venerable bank. But it has another dignity, which is not born of form. To a great degree, it is to the English and to those who are in England the gate to Scotland. The little hansoms are continually speeding through the gate, dashing between the legs of the solemn temple; the four-wheelers, their tops crowded with luggage, roll in and out constantly, and the footways beat under the trampling of the people. Of course, there are the suburbs and a hundred towns along the line, and Liverpool, the beginning of an important sea-path to America, and the great manufacturing cities of the North; but if one stands at this gate in August particu­larly, one must note the number of men with gun-cases, the number of women who surely have Tam-o'-Shanters and plaids concealed within their luggage, ready for the moors. 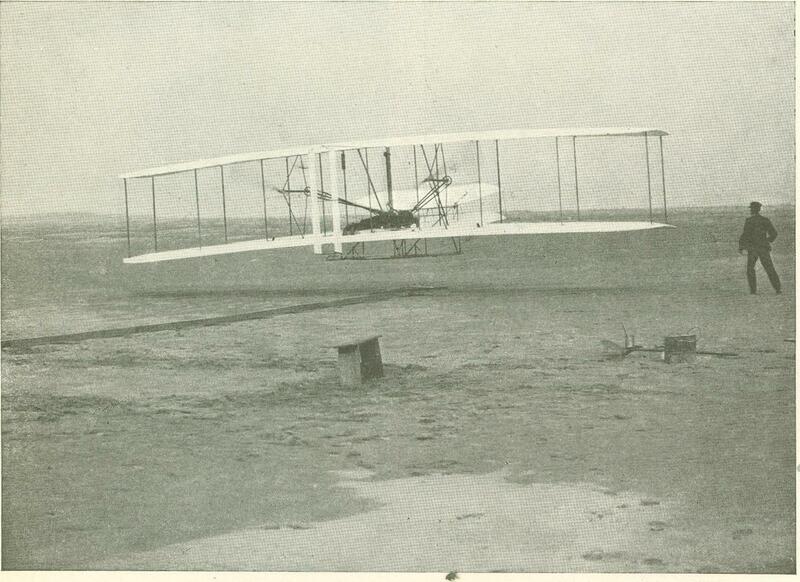 There is, during the latter part of that month, a wholesale flight from London to Scotland which recalls the July throngs leav­ing New York for the shore or the mountains. Monsieur James Tissot is now a man of sixty-two, yet his vigor of mind and body is remarkable. One might al­most speak of his vigor of soul, for the spiritual quality in this distinguished artist is one of his most striking characteristics. Not only is he deeply religious in his daily life, but he is something beyond that: he is a mystic and seer of visions. But the Tissot of today, the man of soli­tude and meditation, the reverent worshiper, the almost ecstatic believer in divine mys­teries, is a very different Tissot from the one who left Paris twelve years ago to undertake a great work in Palestine. Up to that time Tissot had been known as an artist of unusual power and versatility, but an artist who was also much of a worldling. He was a traveler and a cosmopolitan; he was at home in many cities. Ten years of his life were spent in London, where he earned some millions of francs from his paintings and where his house was famous among grand establishments for the beautiful things within and without it. This was the house that later passed into the hands of Tissot's friend Alma-Tadema. It was from this brilliant and somewhat pampered life, from a circle of friends that counted the best names in Paris and London, from affluence and ease, that Tissot suddenly separated himself as he passed the half cen­tury point. From painting scenes of Par­isian frivolity, he turned his attention to the old subjects of Bible story, to the humble scenes of Christ's life. From gay salons he made his way to moldering churches. His city house and his splendid chateau in the country were given up, and he declared him­self ready to spend months or years in poor and mean surroundings to the end that he might put down from actual observation scenes and incidents in the Holy Land. Within a year at most the great Trans-Siberian Railway will have been com­pleted, and trains will be running over the entire line from St. Petersburg to Vladi­vostok and Port Arthur on the Pacific. To the general public this may seem a bold statement; but from observations I my­self made on a journey during the past summer over uncompleted portions of the line, and from information given me by persons perfectly familiar with the work, I feel that it is more than justified. The Russian Government will then be in easy communication with the whole breadth of the Russian dominion, a reach of nearly 8,000 miles, or more than twice the dis­tance from Boston to San Francisco; and across an empire which ten years ago the most imperative dispatches could not traverse in less than half a year, loaded trains will be making the journey in ten days. The Russian Government began to medi­tate a railroad connecting the western with the eastern boundary as early as 1860, but with so little definiteness that seven years later, in 1867, it sold Alaska to the United States for $7,­000,000, because it was felt that Russian America must forever re­main too far away. 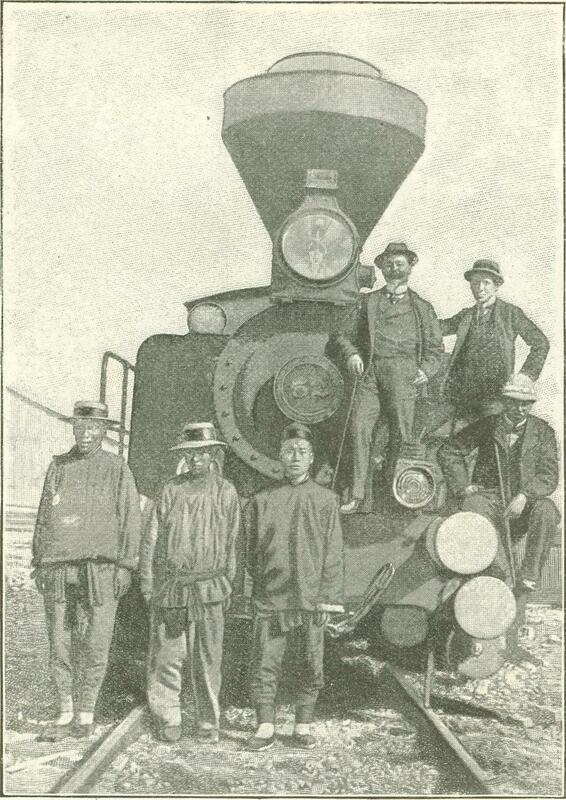 If this sale had not been made, we might today be anticipating the early completion of a Russian rail­road, not to Vladi­vostok, 4,500 miles from our nearest seaport, but to Fort Wran­gell, almost at our own doors on Puget Sound; while England would turn her ever-watchful eyes from Russia at the gate of Herat to Russia within a day's march of Vancouver. Indeed, nearly thirty years passed before the enterprise took really positive form. The work of actual construction may be said to have begun on May 30, 1891, when the present Emperor, then Czaro­vitch, on his way around the world visited Vladivostok and drove the first spike. At first, 1905 was named by the engineers as the time of the completion of the road; but up to 1895 the work progressed slowly, and finally it was said that the line could not be opened before 1907 at the earliest. 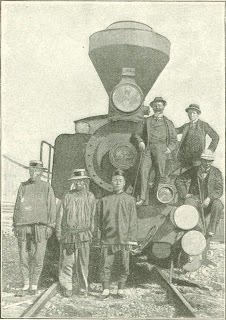 Then came the Japanese-Chinese war, and the concessions from China to Russia as a reward for the latter's friendliness to China through­out that difficulty, especially the concession of an outlet for the Trans-Siberian line through Manchuria, to the saving of 700 miles of dis­tance over going along the border of that province; and thereupon the work began to be prosecuted with a zeal and energy beyond anything in all the previous annals of rail­road building. By the beginning of the spring of this year (1899) the line had been completed to Lake Baikal, nearly 4,000 miles from St. Petersburg, where immense iron steam barges, similar to the ferry-boats used at Detroit, but larger, take the trains across the lake, a distance of forty miles. When one goes under water in the "Hol­land," there is a certain tremulous feel­ing as one climbs down the barrel-like turret and finds himself in a brightly-lighted steel cave that tapers off at one end in a constantly narrowing circle to the place where a slender shaft thrusts itself outside to a propeller, and, at the other end, stops short in a blunt compartment into which one cannot look without stooping. The man who operates the boat stands in the turret, and only his legs, as he stands on a bench, can be seen by those who are down in the body of the boat. You hear the top of the turret clamped down, and then you look about somewhat nervously to see what is to be done next. The pilot or commander in the turret rings a little bell, and one of the five men in the crew turns a wheel, and you see that the boat is under way, run­ning along the surface. One of the crew is far in the stern, where the gasoline engine and the electrical appliances are. Another is near the center, where there are two long levers, by which he fills or empties the big water-tanks in the bottom of the boat. An­other lies stretched on the bottom of the main Compartment, or sits on a camp-stool, with his hand reaching up into the turret, where he turns a wheel that controls the diving-en­gine. Another tucks himself into the small compartment at the bow, where he controls the apparatus for filling or emptying more tanks. saving at sea. 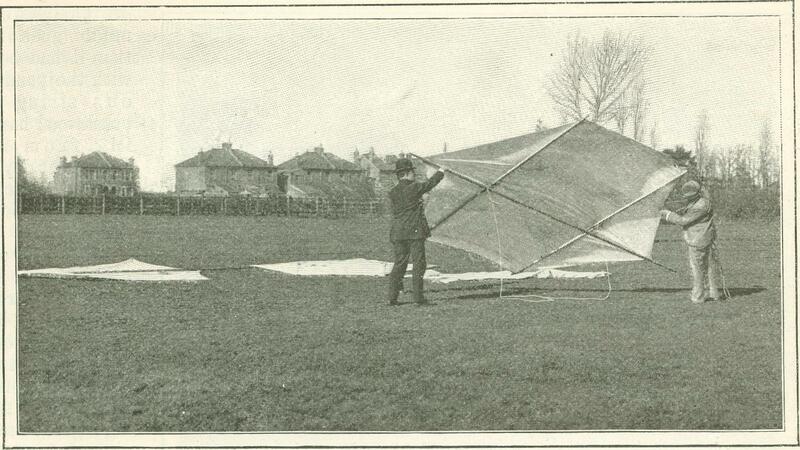 But it has been only during the last three or four years that inventors have taken up this long neglected contrivance, and now we hear of remarkable kite experiments in many different countries. It is, however, of my own particular improvements that I am asked to write. My first object was to get an idea of the capabilities of a kite for lifting weights. Naturally the lift depends on the strength of the wind; and I soon found that the wind varies so greatly in strength, that it is very difficult to get accurate working figures. One day I had a kite of some twenty square feet up, and found that I could put stone after stone into the little bag hanging beneath, up to a total weight of six pounds, and not overweight the kite. I felt quite triumph­ant. On this basis, three-tenths pound per square foot, a kite of 500 square feet should lift a man. Thus encouraged, I worked all the harder. But I soon found that the kite is an awkward customer to deal with when you get on the wrong side of him. He can be very bad tempered, and often refuses to do what he is told. I had to devise new methods of construction in order to keep portable so huge an apparatus as I required. First, the tail required consideration (for I had been brought up to believe that a kite must have a long appendage of string with bits of paper tied along it at intervals). This tail was the bother of my life. The papers got wet and tore off. I substituted bits of stick. Then I thought it was not heavy enough, and added weights. Next, I imagined it did not offer enough resistance to the wind, and I put on canvas cones. And, then, oh dear! The bother when that tail became entangled. Well, one day it was Blowing very hard and the kite would not fly steadily. I added more and more to the tail, till finally I put a great bush on the end of it. The kite went up, then dived over, and then circled round and round, the bush alternately sweeping the ground and the sky, until it nearly swept me off the face of the earth. At last I got the kite down, and sorrowfully took the whole tail off, deter­mined to add still more length and weight. But a sudden gust came, and took the kite right out of my hands. Up it went, indecently tailless, and flitted about like a bat, though on the whole much steadier than it had been with the ponderous string of brushwood hanging from it. From that day to this I have rarely put a tail on a kite. 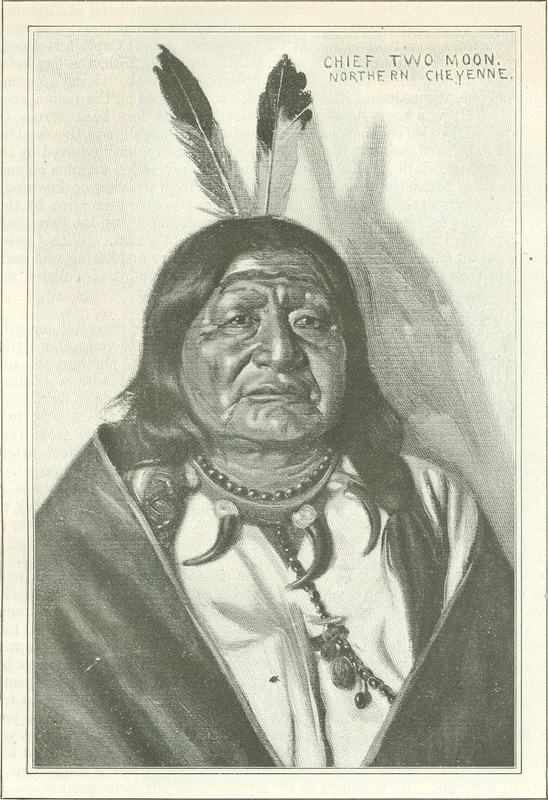 In a campaign in 1876 against a powerful confederation of hostile Indians, Brevet Major-General George A. Custer, lieutenant-colonel in command of the Seventh Cavalry, was sent by General Terry to hem the Indians in on the east, while General Terry himself and Colonel Gibbons moved round and came down upon them from the north. 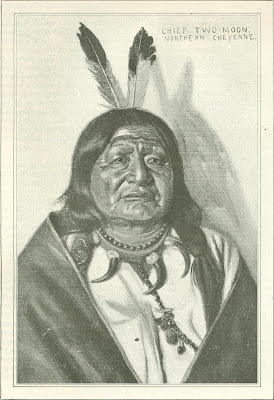 On approaching the Little Big Horn valley, where the Indians lay, Custer divided his command into three parallel columns: one under command of Captain Benteen; one under command of Major Reno (the two comprising six companies); and one, consist­ing of five companies, under himself. 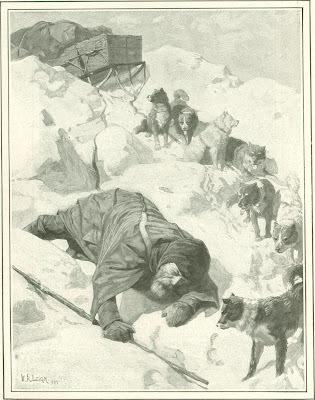 At the same time he left Captain McDougall, with one company, in the rear, to guard the pack train. 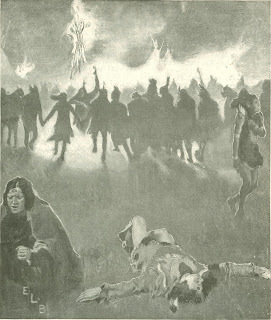 On June 25th, the day before Terry and Gibbons had appointed to arrive, Custer ordered an attack. Reno's column, which was the middle one, crossed the Little Big Horn, and advanced on the Indian encampment from the south. It was soon repulsed, and retreated with loss back across the river. It was here joined by the commands of Benteen and McDougall, and the combined force was able to entrench and maintain itself, though with difficulty, until relieved by the arrival of General Terry, two days later. Custer, meanwhile, proceeded with his column toward the river by a more northerly way, shut off completely from the view or knowledge of the other columns; and neither he nor any man with him was ever seen alive by the men of the other commands again. A large force of Indians rode hardily up the bare bluff against the column, encircled and simply swept it off the earth to a man. With Custer fell his brother Thomas, an officer whose record for personal bravery and daring was scarcely less remarkable than his own. 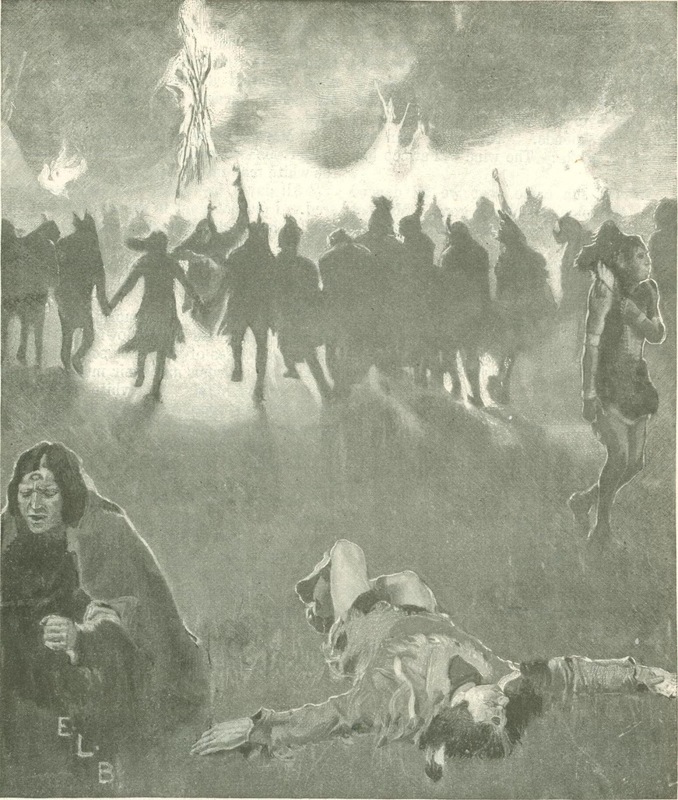 Twelve officers were killed in all, 247 enlisted men, three Indian scouts, and several civilians. EDITOR. Geerte De Jong takes an interesting looking at Victorian Society in her study The Future Imagined By the Past published in The Gatehouse for February, 2012. 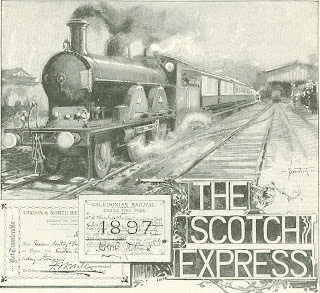 It is a look at Victorian views on invention, particularly as it related to travel. 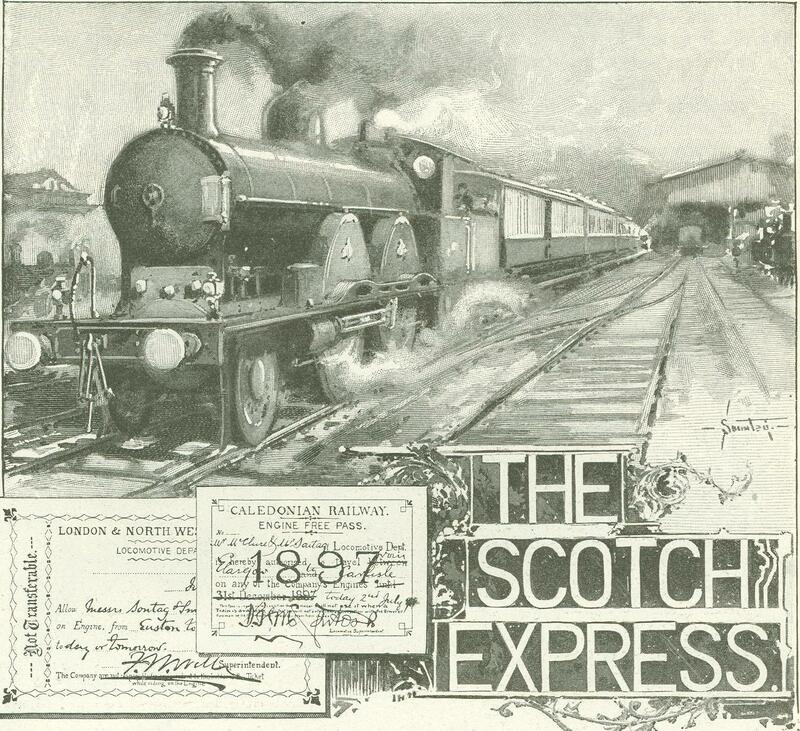 Railways were already a major pillar of their lives. The 1890's saw the advent of subways, and personal transportation - such as the bicycle and the automobile. 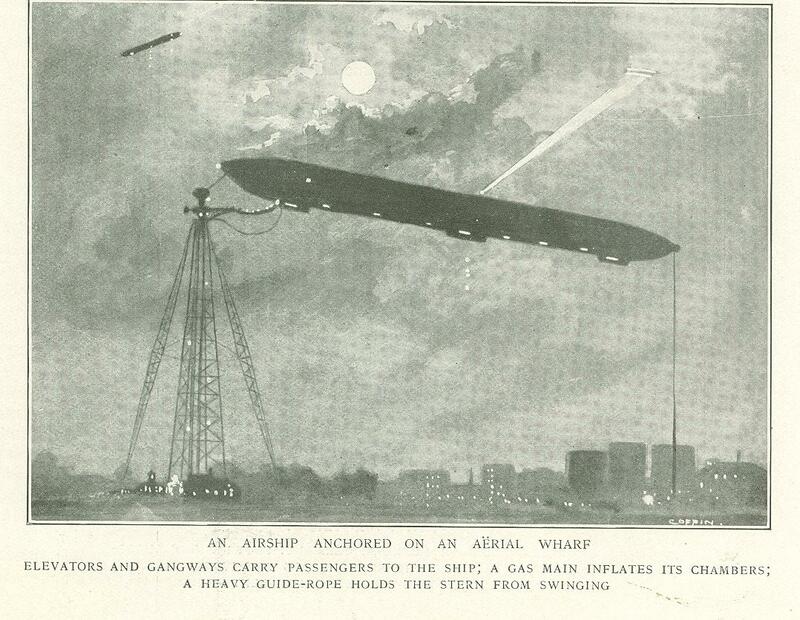 And, the overwhelming focus was on the Airship. Faster transportation was what everyone envisioned, bringing the world closer together. 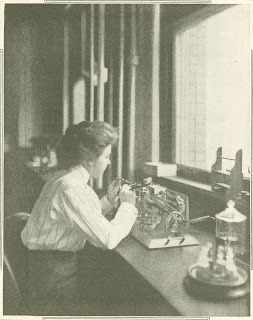 And, in communication - she labels the telegraph as "the Victorian internet." It, and the rapid development of the telephone, allowed people to communicate around the world. When all is said and done, we are left with the feeling that we are very much like the Victorians - living in a rapidly changing world. We've already walked on the Moon - Been there done that. Email is falling into disfavor as we chat back and forth on Facebook. And, more people are choosing to go without land line phones, choosing instead - cell phones, on which more people text than talk. The adventure is only beginning. Want to read more about the Victorians? Visit Geerte De Jong's blog The Victorian Era. Day by day the summit of Erebus heralded more and more distinctly the return of the sun, which was below the horizon for a total period of one hundred and twenty days. The end of the long night was near, and when the darkness was giving way to a sort of dim twilight, we began to make preparations for the sledging expeditions. During the winter, of course, we had been giving the best attention possible to our ponies and dogs. We were a very small community, and the extent and success of our work was dependent as much on the condition of the animals that were to draw the sledges as on the fitness of the men themselves. The first step was to find out what weight the ponies were actually capable of pulling, and to this end the sledges were loaded with known weights, and the ponies exercised up and down a meas­ured two miles on the sea-ice. Every day, except when the blizzards stopped us, they were taken out, and they were soon in good, hard condition. All Americans, to say nothing of large parts of the population of other countries, are interested, deeply and per­sonally, in the Vanderbilt family. Some­times it is the interest which servility pays to wealth. 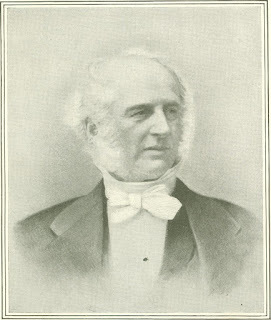 Sometimes it is that which philosophy pays to the same thing - the interest of the student who sees in the Vanderbilt’s not so much the more or less interesting personalities descended from Cornelius the first, as the holders of pub­lic utilities which in some new era may no more be possible for private holding than the old power of the king could now be held of one man. The world is actively engaged in mak­ing its fortune, though sometimes it calls the task by another name and says that it is earning its living, acquiring a compe­tency, building up a business, or what not. And there stand the Vanderbilt’s, with living earned, competency acquired, busi­ness built up, fortune made. As the village storekeeper, come up to town, gazes with interest that is not necessarily envious at the great shops of the city; as the village dressmaker eyes the glass en­cased robes from Paris; as the art student who has achieved no better thing than a panel or a plaque for the ornamentation of her room, studies the grand scheme of a Puvis de Chavannes decoration and hearkens to every detail she can hear of the artist himself, so the world, full of folk with fortune still to achieve, looks with eagerness upon all that concerns the family with fortune achieved. What is the medical pro­fession in this country doing to stop the ravages of cancer? A short time ago Professor Ehrlich, the great German investigator, in the course of a visit to our most important cancer laboratories, made several statements which partly answer this question. As a result of recent progress in cancer research, he declared, the beginning of the end of the cancer problem is in sight. The ultimate conquest of the disease, added Ehrlich, is as certain as was the capture of Port Arthur after the Japanese had taken the first trench. It is to the cancer laboratories of the United States, he continued, that European investigators now look for the most important results. As a matter of fact, many of the dis­coveries upon which Ehrlich based his opti­mistic statements were made first on this side of the Atlantic. The medical profession has learned more about cancer in the last six years than in the preceding six thousand. True as this statement is, however, it must not be misconstrued. No cancer "cure" has been discovered. Investi­gators have penetrated many secrets of the disease, but they have not yet restored a single human sufferer to health. From the standpoint of science, however, the discovery of new principles of eternal applicability is far more important than the discovery of specific rem­edies. Thus Pasteur's demonstration that living microbes cause contagious diseases meant more to medical science than his successful treat­ment of hydrophobia, which was merely one application of this general principle. Likewise, the cancer investigations of the last few years have revealed certain hitherto unknown princi­ples that will eventually assume great impor­tance in the practical treatment of the disease. High upon that emi­nence which clas­sical New Yorkers like to term their Acropolis, already stand complet­ed some of the build­ings which are to make that borrowed title no burlesque of a name. Colleges spread them­selves in substantial dignity upon the hill. A library throws wide its entrance to the street, aton­ing by the gracious breadth of its actual approach for its somewhat re­stricted hospitality. A hospital crowns the summit - a towered, turreted, many winged affair, of shining brick and stone, with many windows glittering first on one side and then on another as the sun travels westward. These buildings for the care of mind and body are completed, or at least in working order. Across from them, scaffold­ings still stand and rocks are hewn and workmen come and go and chisel and climb and hammer all day long upon the building which will round out the trinity of beneficence upon New York's acropolis - the building for the care of souls, the Cathedral of St. John the Divine. In the fact that Columbia and its library, the Teachers' College, and St. Luke's Hospital are all doing their appointed work be­fore the cathedral is finished, or indeed well under way, there are many who find official and ecclesiastical confirmation of the modern theory that not until the body is helped and the mind prepared, are the truths of religion likely to impress mankind very deeply. In the old days of the fur trade, the "Soo," which is the colloquial name for Sault Ste. Marie, or Saint Mary's Falls, was the gateway through which pelts from the North and Northwest found their way to marts in the East. 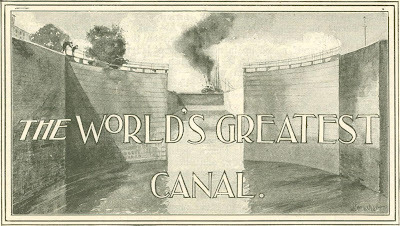 Now the wriggling ribbon of a river, narrowing at one point into the most wonderful ship canal in the world, is the portal through which comes the ammunition for the charging of the greater portion of the blast furnaces of America. The ship canal is, after all, a surprise, not less in inherent characteristics than in the accomplishments which it has made possible. Almost a thousand miles from the nearest tidewater, there passes through this waterway, during the eight months which make up the navigation year, a tonnage far in excess of that which traverses the Suez Canal or enters the port of New York or London during the full twelvemonth.